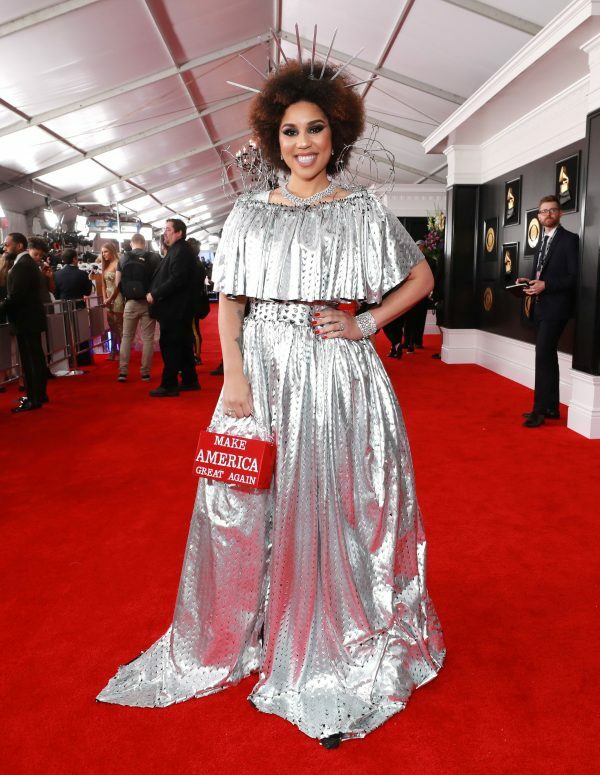 Singer Joy Villa dressed as a border wall, complete with barb wire, during the Grammys on Feb. 10. “Well to no surprise, I’m still a Trump supporter and supporting the president and what he’s doing. 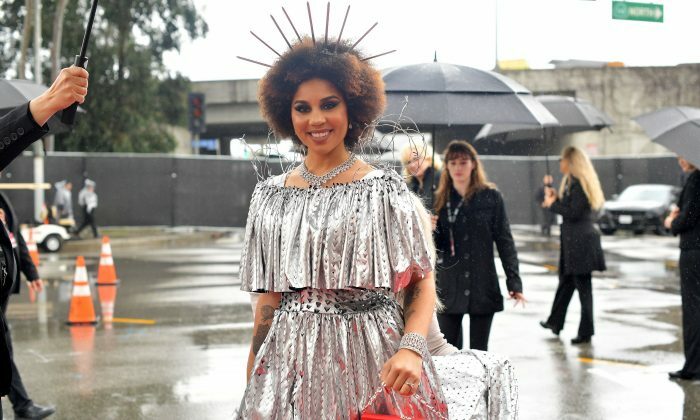 This is my Make America Great Again purse and dress is by Desi Designs Couture, and it represents the wall,” she told Fox News on Feb. 10. “Thousands of children are sexually exploited by coyotes bringing them across the border. Seventy percent of the heroin in our nation is brought in through Mexico,” Villa said. “This is not personal against this country or the people. It’s not about race. It’s about protecting the people who are in this country. I’m Latina, I’m black. I support what the president says about building the wall, so that’s what this dress represents,” she also said. 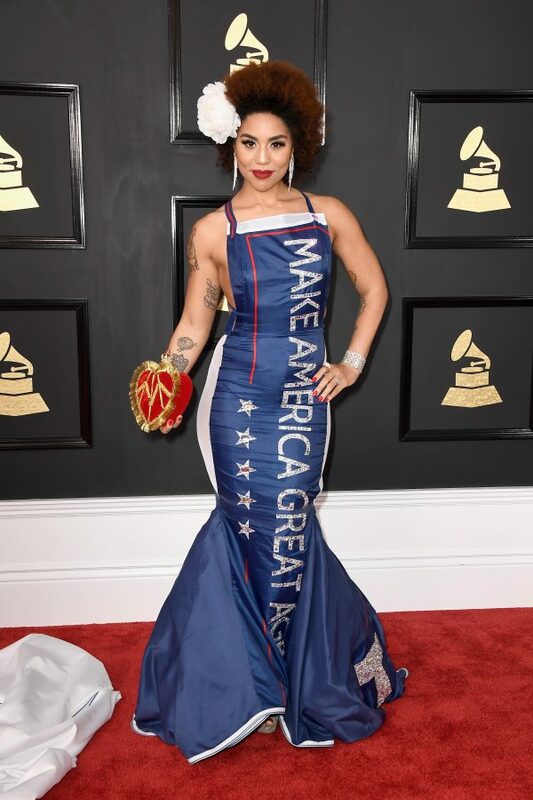 Villa, an avowed supporter of President Donald Trump, wore a dress with Trump’s slogan, “Make America Great Again,” several years ago. And last year, she had a pro-life message on the Grammys red carpet. Villa spoke of the potential backlash. Meanwhile, she said former President Obama and former President Clinton wanted border walls during their time in public service. “It’s nothing new. But I believe he’s the one that’s going to get it done,” she said of the current president. On Feb. 10, another singer, Ricky Rebel, wore a pro-Trump jacket. It had the words “Keep America Great!,” “Trump,” and “2020” in support of the president, ET reported. Rebel has previously posted photographs of himself outside of the Trump Tower, retweets President Trump, and defended his support of Trump in a 2017 interview. “I voted for the person who wanted to heavily vet refugees. The other candidate wanted a 550 percent increase in Syrian refugees. It only takes one,” he said, Variety reported.